ROME -- The Italian elections March 4 are already drawing notable outside attention, and foreign press crews are beginning to arrive. One old-timer, in fact, who had spent years in Rome covering the Communist Threat, asked me to brief him. I tried, but the sheer number of politicians and parties soon had him begging a respite. "Isn't there a simpler way to explain this?" he said, putting on his hat to go back out into the snow, preferable to dealing with an important election that pits 30 or so parties against one another. "Well, no, there isn't," I said feebly. Still, here goes, based upon my conviction that in this particular national general election the people matter more than the parties. Gone are the (perhaps) good old days of the Christian Democrats (DC) and of the Italian Communist party (PCI). The DC preached its Catholic orientation, at least sometimes, while the PCI preached its adherence to world communism, at least sometimes. Now wasn't that simple to explain? Frankly, not at all. And so back to today. With ideologies now in the waste basket of history, the individual personality of the political leader surges to the fore. Let us meet the most influential, one by one, in alphabetical order. Silvio Berlusconi -- This former premier, 81, is hobbled not only by age but by court judgments that disallow him to be elected to Parliament or to be, himself, premier. His renovated Forza Italia (FI) party is unlikely to cop over 17% of the vote -- not nearly enough to put FI in the winner's chair. But his innate negotiating skills have enabled him to cobble together and to dominate what just may be a winning center-right alliance. 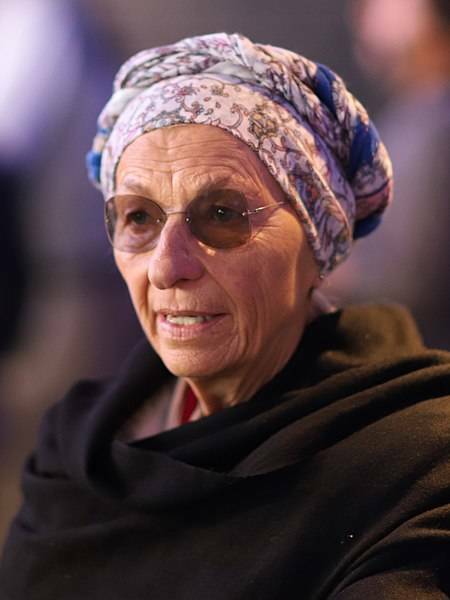 Emma Bonino -- Former European Commissioner, Italian foreign minister in 2013 for a year, and a former vice-president of the Senate, Bonino, 69, has a long history as a parliamentarian plus significantly more international experience than most of the other leading politicians. She is exceptionally popular and respected; although she suffers from cancer, now in remission, and her party, +Europa, is expected to make a very modest showing, perhaps 3%, she is mentioned as a potential candidate for the Italian presidency. Laura Boldrini -- President of the Chamber of Deputies for the past five years, Boldrini, 57, is a law graduate from La Sapienza University in Rome and formerly served as spokesperson for the UN high commission for refugees (UNHCR). She recently split with the Matteo Renzi and his dominant Partito Democratico (PD) to join a leftist faction. She has one daughter, and is attractive enough to have drawn a number of serious threats to her life. Luigi Di Maio -- Di Maio , 32, is vice president of the Chamber of Deputies, its youngest in history. In the past he belonged to the neo-Fascist Italian Social Movement but has been a member of the M5S since 2007.From comedian Beppe Grillo he took over last year as head of the Movimento Cinque Stelle (M5S), at present the single political party expected to have more votes than any other. Born in Avellino, clean-shaven, he makes a point of always appearing smartly suited with white shirt and black tie. Simone Di Stefano - Only 39, Rome-born Di Stefano has made the formerly peripheral far-right CasaPound into a force to be reckoned with. He is a skilled propagandist who aims at achieving the 3% necessary for his party, named after fascistoid (and brilliant) poet Ezra Pound, to be represented in Parliament for the first time in history. He was once arrested for snatching the EU flag from a Roman balcony and replacing it with the Italian flag. Franco Frattini: Twice foreign minister under Berlusconi governments, Frattini, 60, is a former magistrate now mentioned as Berlusconi's possible candidate for premier if a center-right coalition achieves 40% of the vote, allowing it to take charge. Frattini also served as European Commissioner for Justice, Freedom and Security from 2004 through 2008. In his early political years he was a member of the now defunct Italian Socialist Party (PSI). Paolo Gentiloni - At 64, Roman-born Gentiloni came as a surprise to many Italian voters when he replaced Matteo Renzi as the Partito Democratico (PD) premier. His soft-spoken authority has made him the single most popular politicians in Italy today, but the party, now headed by Renzi himself, is leaking votes. Born and raised in Rome with a staunchly Catholic background, he became a professional journalist formerly associated with the moderately Catholic party La Margherita. 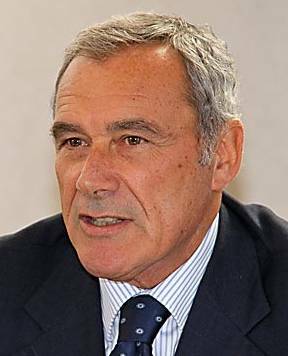 Pietro Grasso - Senate president since 2013, Grasso is a former Palermo magistrate who bolted from, and hence weakened, the PD which had elected him, so as to launch a tiny leftist party, Libero e Uguali (Free and Equal), which polls give at under 8%. Grasso was born in Sicily in 1945, and in 2005 was named chief prosecutor for the national anti-Mafia commission. He is the author or co-author of a half dozen books on the Mafia. 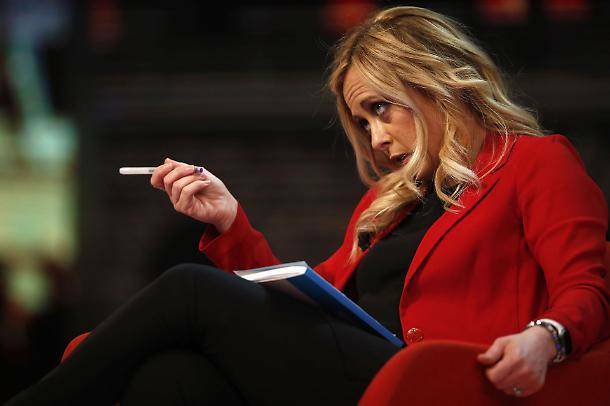 Giorgia Meloni -- The third partner in the center-right alliance of Berlusconi and Salvini is also the one with the smallest input, but has on occasion blithely attacked both. Whose leadership? "I'm here," she responded. 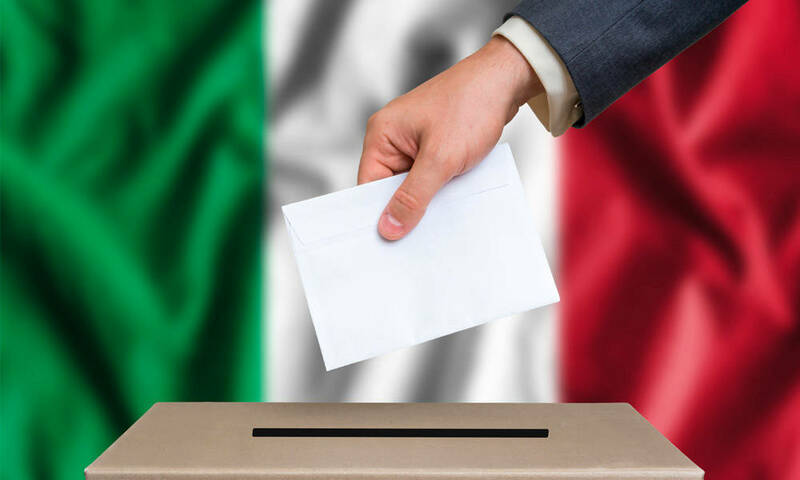 Her party, Fratelli d'Italia, calls itself the party of patriots and is currently predicted to win up to 7% of the vote. She lacks a university degree and is a new mother. Central program points: the defence of the traditional family, national sovreignty. and safeguarding the national interest in foreign policy. 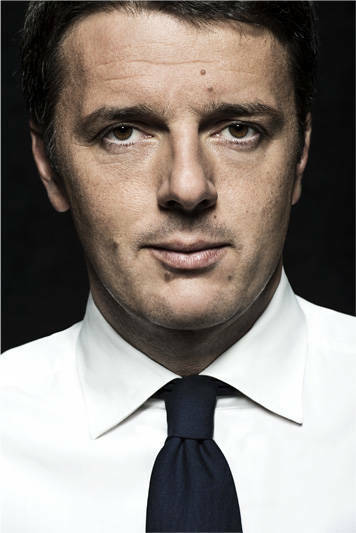 Matteo Renzi - Elected premier for the center-left PD in 2014, Renzi, born in 1975, was expected to bring fresh ideas and stirring reforms to Italy, as he had to his native Florence where he had served as mayor. In April 2017 the party won almost 2 million votes, and 69% of the PD confirmed him as national general secretary. However, the premiership has now gone to Gentiloni while Renzi remains as leader of the PD, whose prospects continue to fade, down from 40% of a few years ago to today's predicted under 24%. 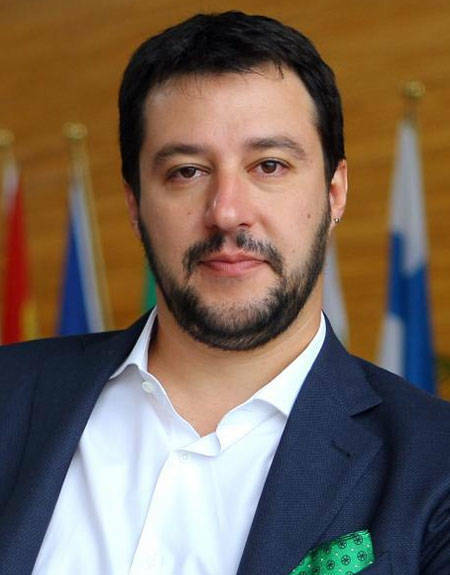 Matteo Salvini -- Milanese-born Salvini, 48, has removed the word "Northern" from the party called Northern League, but is still unlikely to claim more than 14% (down 1% from a month ago). 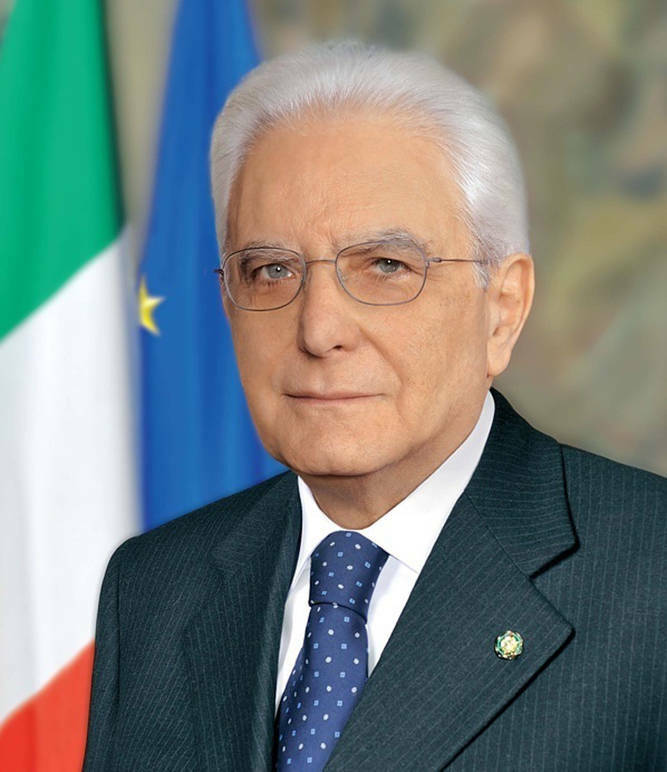 Making the party national rather than regional, he has alienated the Northern League's founder Umberto Bossi. But as Berlusconi's ally in the center-right alliance, Salvini, enjoys disproportionate strength. Officially his party today is called "Us with Salvini." He has been a member of Parliament since 2008. At one point he attacked Milanese Archbishop Dionigi Tettamanzi as being soft on Roma. CasaPound now offers to support him.